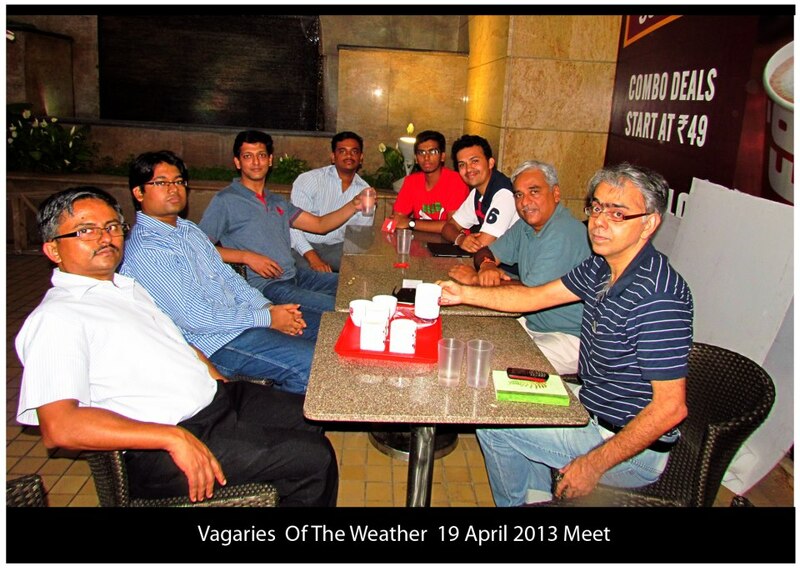 Vagaries' Meeting at Thane on 19th April 2013.
picture perfect , missed the meeting guys'hope u guys had a good time . @ SSET : Yourself in Navi Mumbai know ! Then why not came for Thane Vagaries meeting.. Would like to meet you..
@sset ,,yeah we eagerly want to meet u ,,ur concern about deforestationd nd desewrtification ,,seems very valid ,,nd wud like to hear bout ur views,do make it to the meeting next tym! KARACHI: Widespread rain here on Monday turned the weather pleasant and citizens heaved a sigh of relief. Moderate rain was reported from all areas of the city including airport, Malir, Landhi, Gadap, Gulshan-e-Iqbal, Gulberg, New Karachi, Orangi, Baldia, Saddar and Liaquatabad. sir.just a spell mistake of my name.